Karnataka is planning to create three major IT projects at Infosys to setup more campuses with an investment of of Rs 1,918 crore that would generate 27,000 jobs. 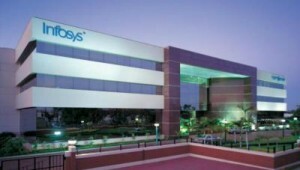 Infosys is going to invest 290 million US dollars (Rs 1,918 crore) on three campuses. Among them one will be built at Electronic City and other two at Konappana Agrahara of Bengaluru South taluk. It was estimated to create 27000 new jobs from these projects. The number of total direct employment would be raised to 15000. The chief minister also said Rs 216 crore will be invested at the Electronic City project, creating job opportunities for 3,500 techies and alike.